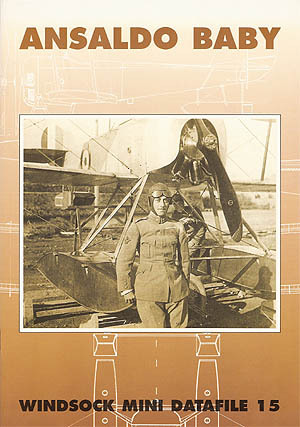 The Italian Ansaldo company signed a contract on 26 January 1917 with Sopwith to produce versions of the successful Baby floatplane fighters and over 100 were ordered.Gregory Alegi has the full story and supports a detailed narrative with over 20 rare photos and contemporary drawings. This unique booklet also contains brand new multi-view 1:48 and 1:72 scale plans by Marty Digmayer and colour notes include official wartime painting specifications;Ray Rimell provides a colour profile and two plan views for the rear cover. An excellent resource for all those who love these attractive little fighting seaplanes.